Buckwheat crepe with egg, spinach, mushrooms, tomato and pesto cream. Mussels Marinara with Spanish Chorizo. 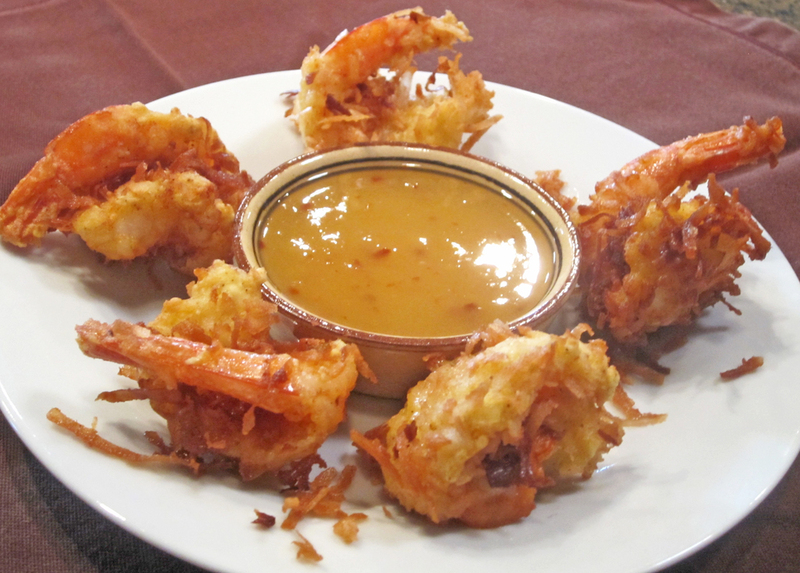 Coconut Shrimp with Pineapple Chili Sauce. Join us in the cooking school for fun and informative classes with Chef Kim. You can now register and pay for classes online using our secure checkout system. Just follow the links below! Gift Certificates Available...Call us at 1-360-600-8006!